"Dragons of the Tropics" is a world building project and art print set featuring 5 of the dragon species of the tropical regions of the world of Olm. 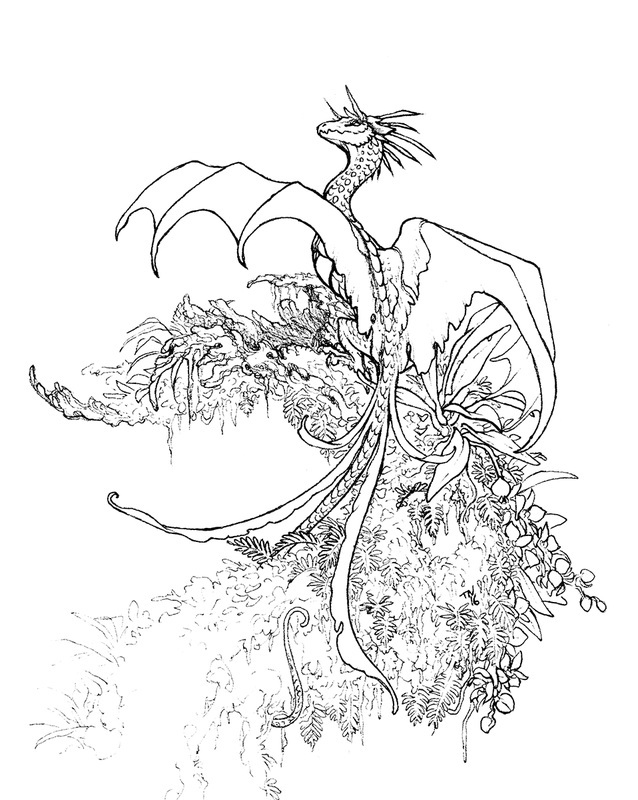 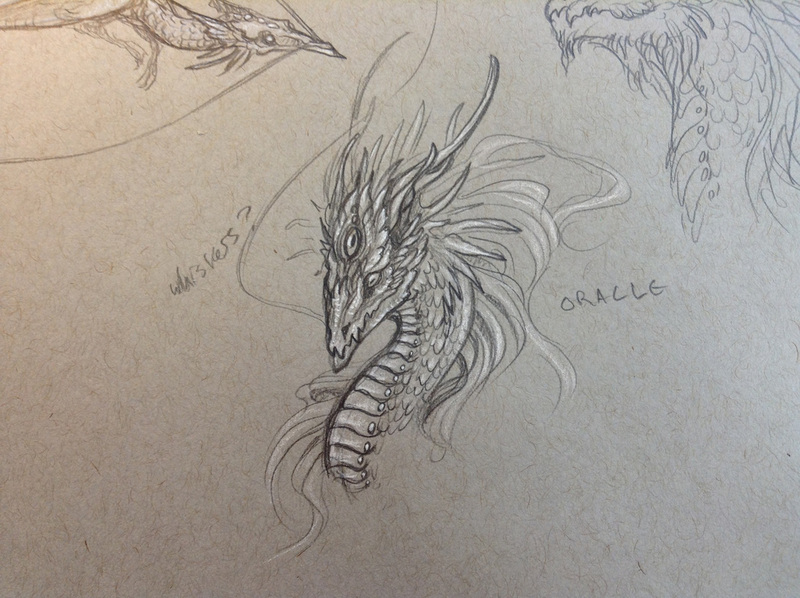 Olm is a collaborative worldbuilding project/RPG setting that is currently in development. 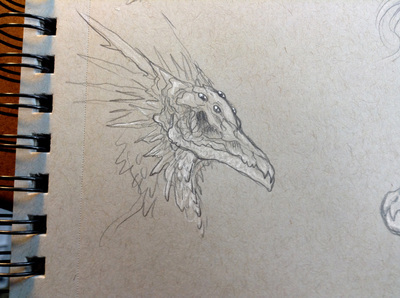 The plan is to eventually publish it as a playable world and system for tabletop gaming, complete with unique monsters, playable species, and a detailed history. 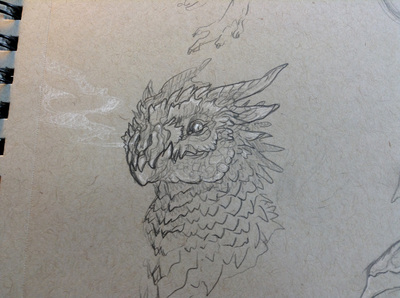 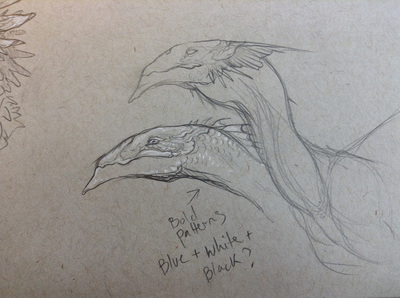 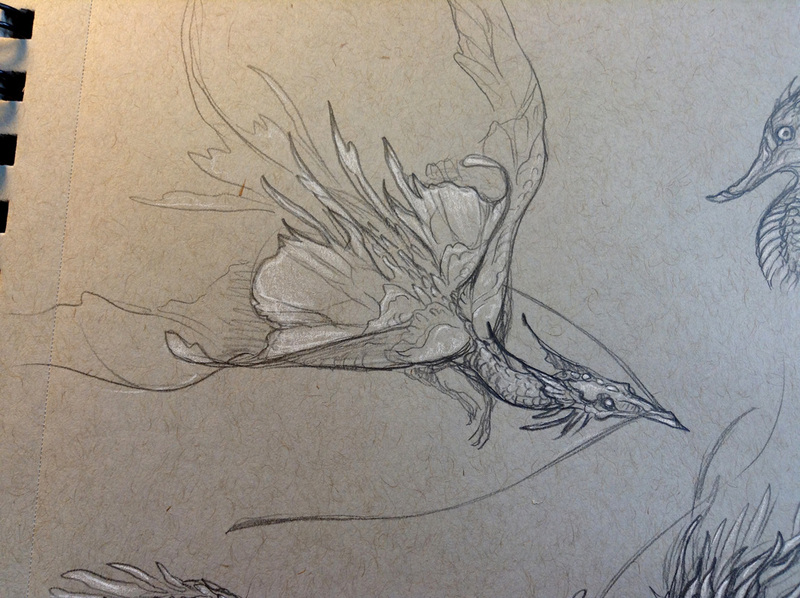 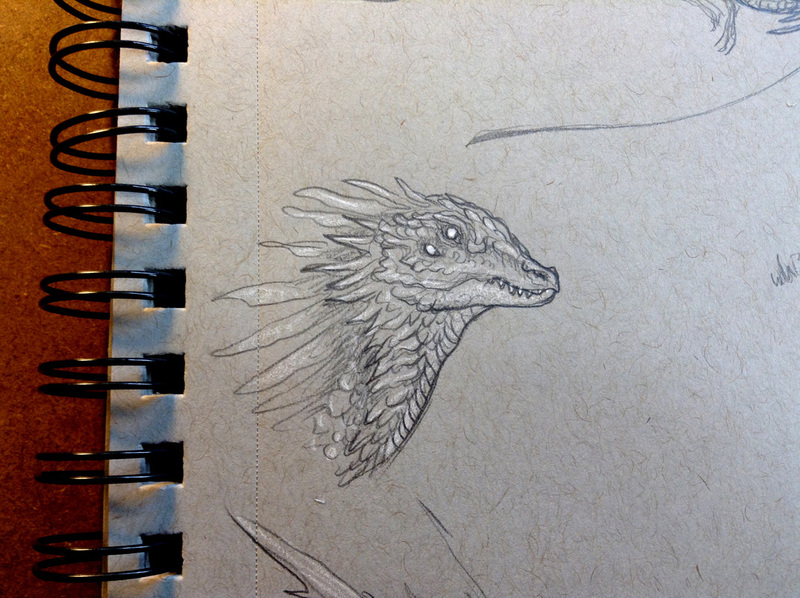 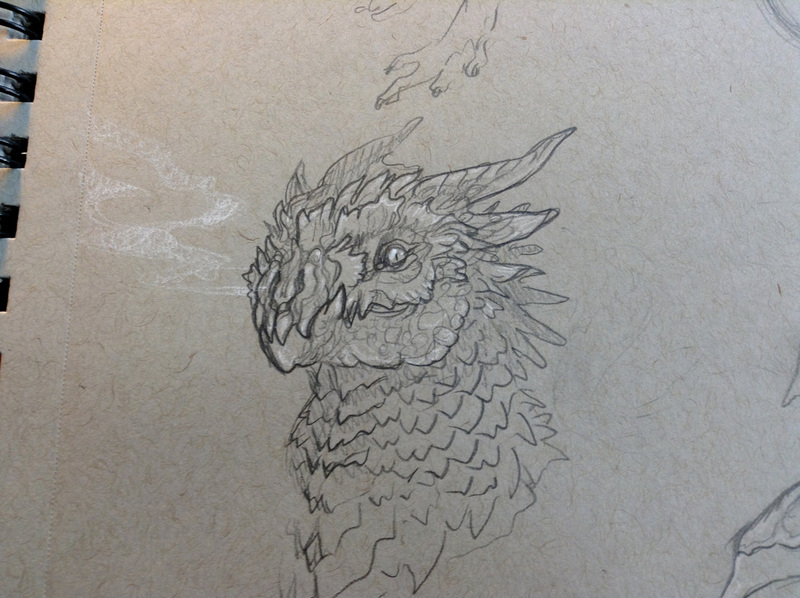 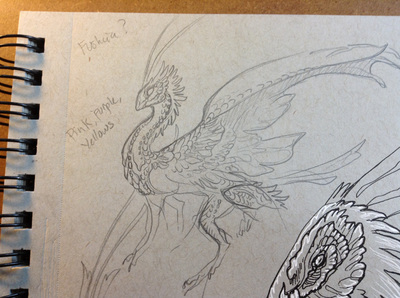 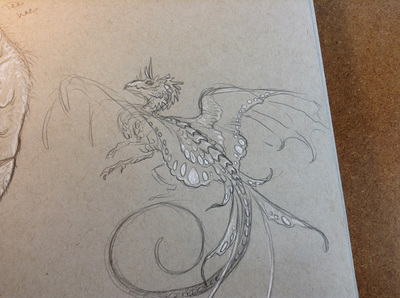 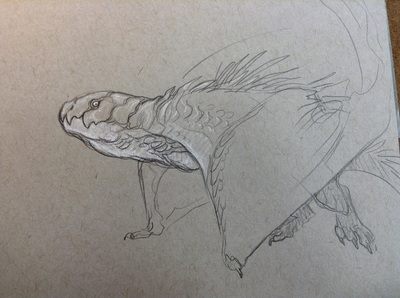 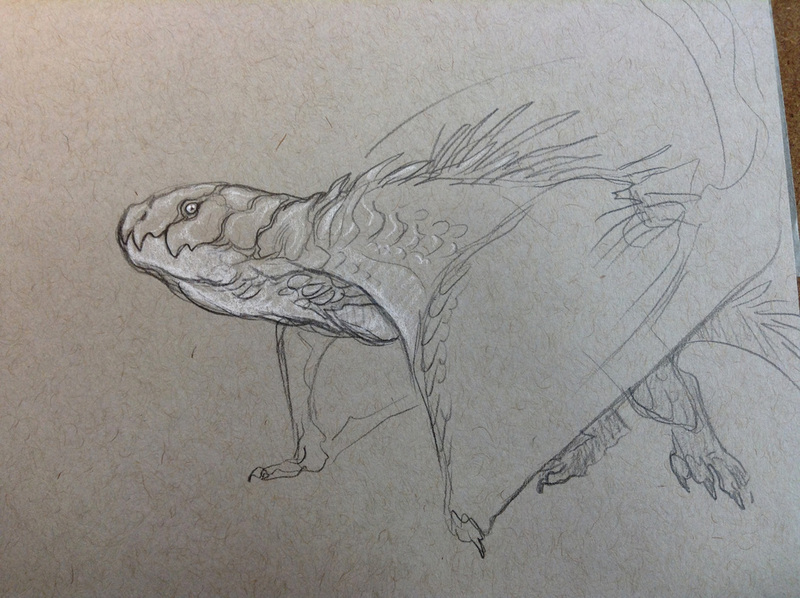 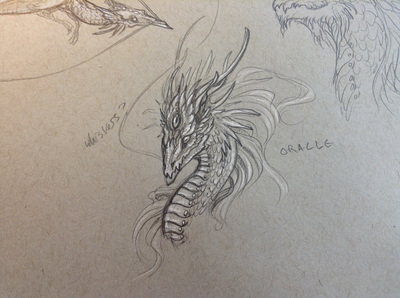 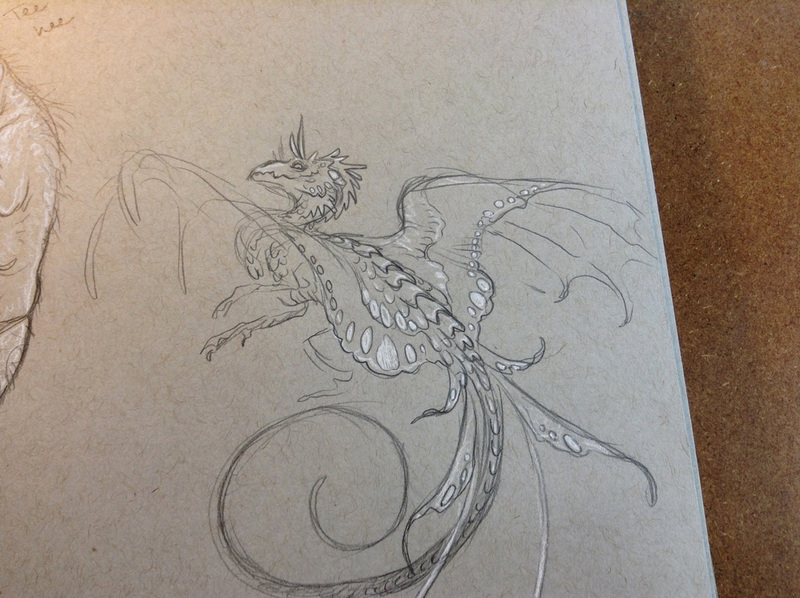 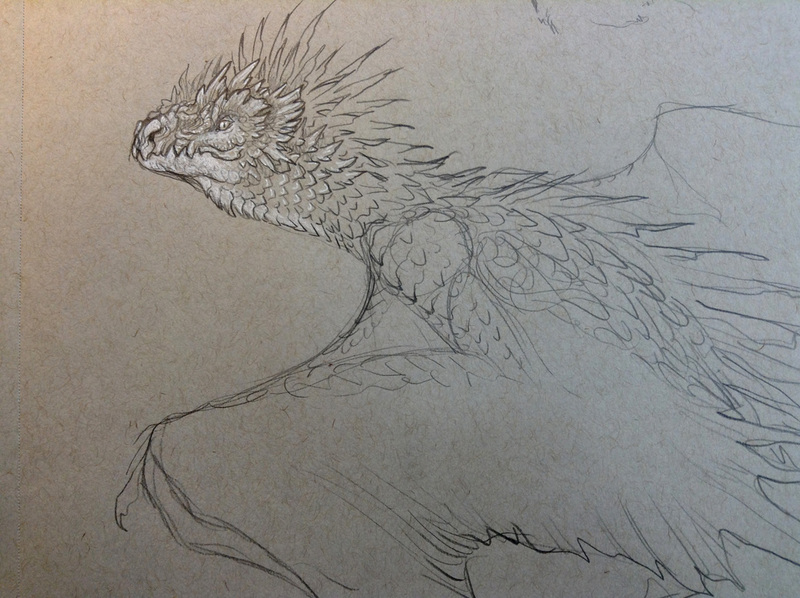 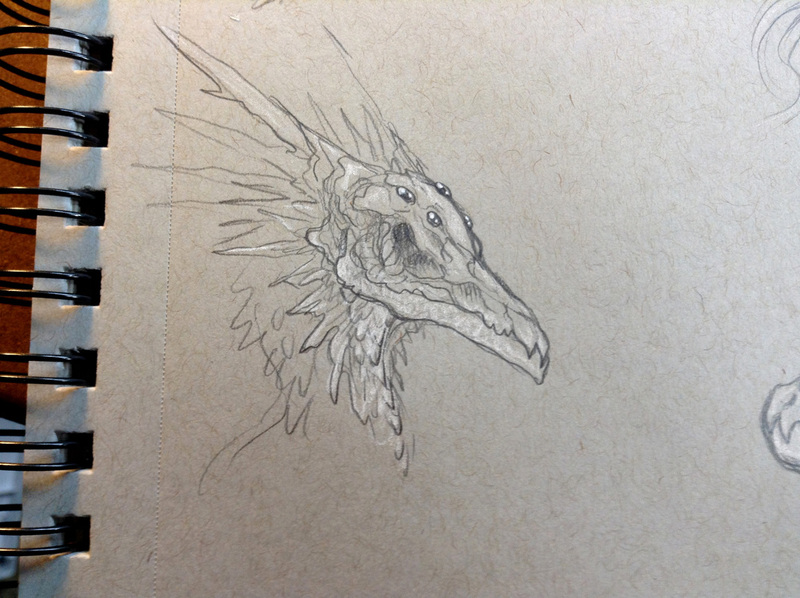 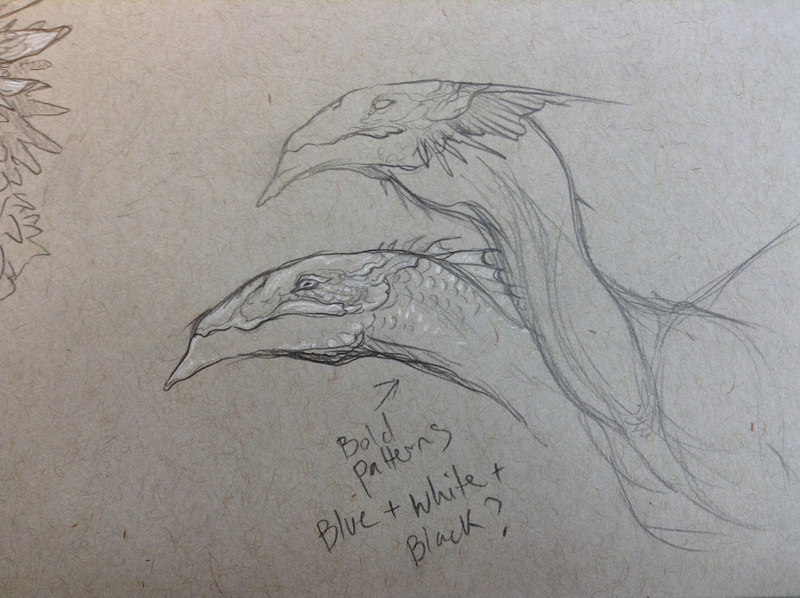 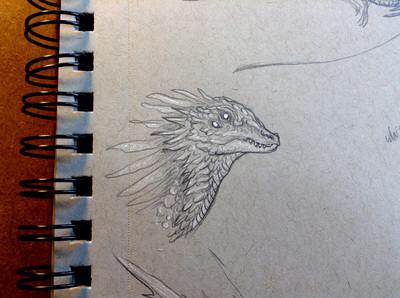 ​Conceptualizing creature designs. Not all of them will make it to the final print set, I will be selecting 5 of my favorites. 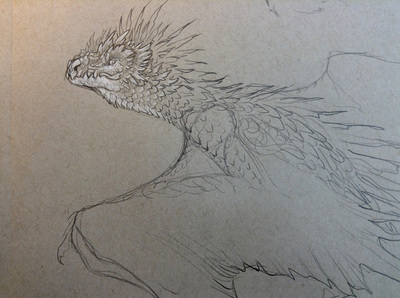 Recording my process of the first of this series of paintings. 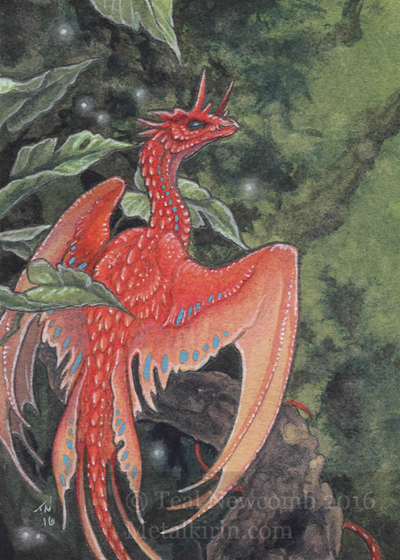 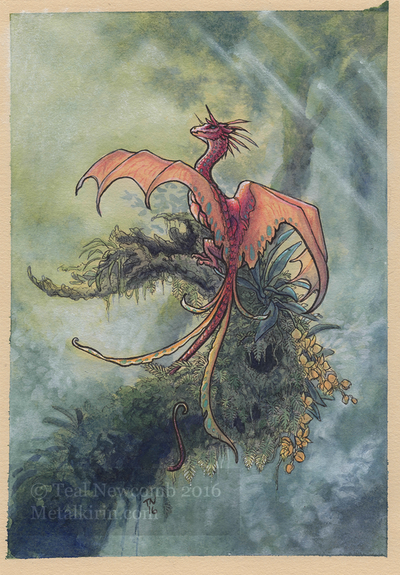 I was recently commissioned to paint a relatively quick "Tropical Dragon" ACEO card for a Patron, and the final mini painting was something I felt compelled to expand on, and the idea for a dragon print set was born.